Following the release of the Saddle Road Draft Environmental Impact Statement (EIS) in November of 1997 and associated public hearings in December 1997, discussions have been ongoing among citizens, agencies, and organizations involved or interested in the project. The intent of the Draft EIS was to generate these project discussions so that every viewpoint and concern could be taken into account in the final route selection, and in determining the measures to be taken to offset any impacts caused by the selected route. The Federal Highway Administration (FHWA) considered these concerns and issues in selection of the Recommended Alternative to be presented in the Final EIS due to be released in early spring of 1999. Agencies providing input to the FHWA on selection of the Recommended Alternative included the State of Hawai`i Department of Transportation (HDOT), the Department of the Army, the U.S. Fish and Wildlife Service (USFWS), the U.S. Army Corps of Engineers (USACE), the Environmental Protection Agency (EPA), and Hawai`i County, collectively known as the Social, Economic and Environmental interagency team (SEE Team). Additionally, the FHWA is working with regulatory and resource agencies to develop interagency agreements to ensure that mitigation measures for the Recommended Alternative can be implemented. 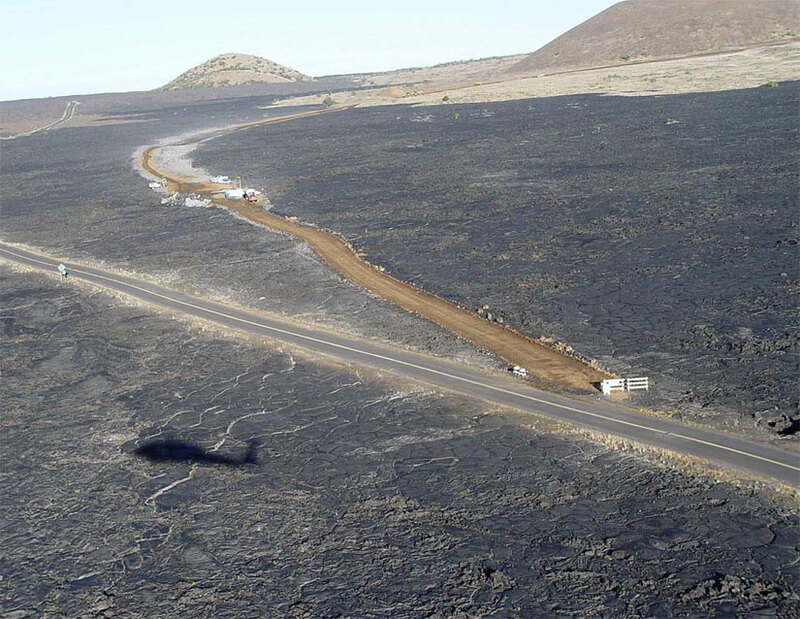 These agencies include the State of Hawai`i Department of Land and Natural Resources (DLNR), the USFWS, the Biological Resource Division of the United States Geological Survey (BRD/USGS), the EPA, the USACE, the U. S. Army Garrison-Hawai`i (USAG-HI), the Hawai`i State Historic Preservation Office (SHPO), the National Advisory Council on Historic Preservation (ACHP), and the State of Hawai`i Office of Hawaiian Affairs (OHA). Over the past ten months there have been numerous coordination meetings with agencies and citizen groups to ensure that all project impacts and comments or concerns have been adequately addressed. Mitigation commitment agreements are currently being developed and will be discussed in the Final EIS. By law, all agreements ensuring that mitigation will be implemented must be executed and included in the Record of Decision (ROD) which follows the Final EIS and formalizes a Selected Alternative. The ROD is a legally binding document upon the FHWA requiring implementation of mitigation measures stipulated in the Final EIS. In June 1998, an interagency partnering session was conducted to resolve issues related to implementation of the Saddle Road Palila Critical Habitat mitigation. This partnering session was the culmination of two years of informal and formal consultation in developing the multi-agency mitigation plan. U.S. Senator Daniel K. Inouye provided the key-note introduction to open this pivotal partnering session. After in-depth analysis and discussion, concurrence was reached on a Memorandum of Understanding (MOU) that identifies the parties responsible for implementation of the mitigation plan. 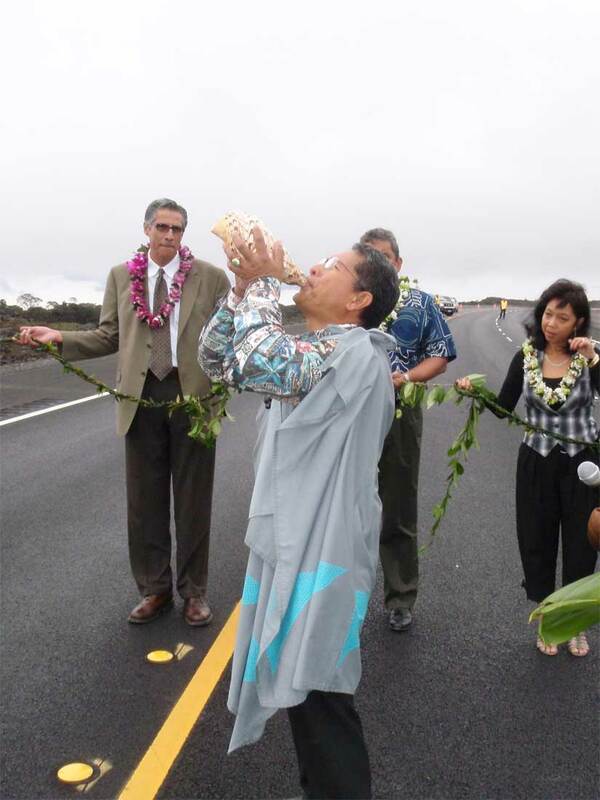 The MOU signatory parties were the Department of the Army (USAG-HI and the Military Traffic Management Command), the State of Hawai`i (DLNR and HDOT), USFWS, BRD/USGS and the FHWA. The MOU includes a schedule of key mitigation plan elements and proposed agency responsibilities. There is also a stipulation in the MOU that the FHWA, through its Hawai`i Division Office, will monitor the implementation of the mitigation plan over the required 10 year period to ensure plan delivery as specified in the MOU. The mitigation plan includes the setting aside of some 10,000 acres to be used for Palila mitigation. 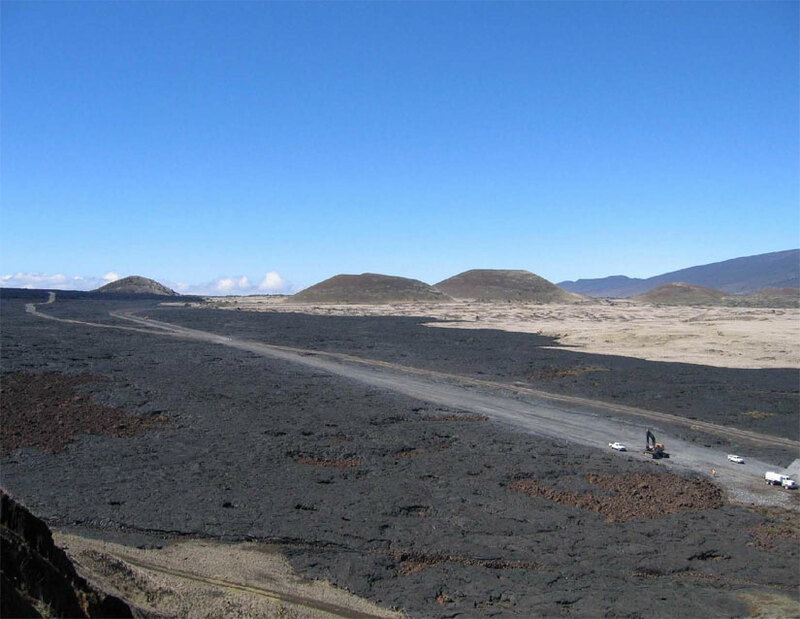 The mitigation areas include approximately 4,604 acres near Pu`u Mali adjacent to the north boundary of the Mauna Kea Forest Preserve, 1,738 acres within the Ka`ohe Lease Lands on the west slope of Mauna Kea, and 2,998 acres located within the Kipuka `Alala area of Pohakuloa Training Area. These lands are to be managed according to stipulations in the MOU. 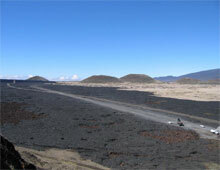 The Pu`u Mali lands and the Ka`ohe Lease Lands are now being used for ranching. DLNR is currently working on settlements with the ranchers in order to terminate these partial leases. The mitigation lands will be managed by DLNR solely for restoration of mamane forest and relocation of Palila and will require the removal of pests and predators to facilitate the success of the relocation program. Roughly half of the estimated total cost of $13.7 million for the 10 year mitigation plan is for road improvement features that reduce the likelihood of wildfires, construction contract requirements that provide protection for biologically sensitive areas, and administrative and settlement costs to put the mitigation lands in place. The Final Biological Opinion (BO) of the USFWS has been received and the stipulations of the Palila mitigation MOU were incorporated within this document. A detailed mitigation implementation plan schedule is now under development and will be included within the Final EIS. 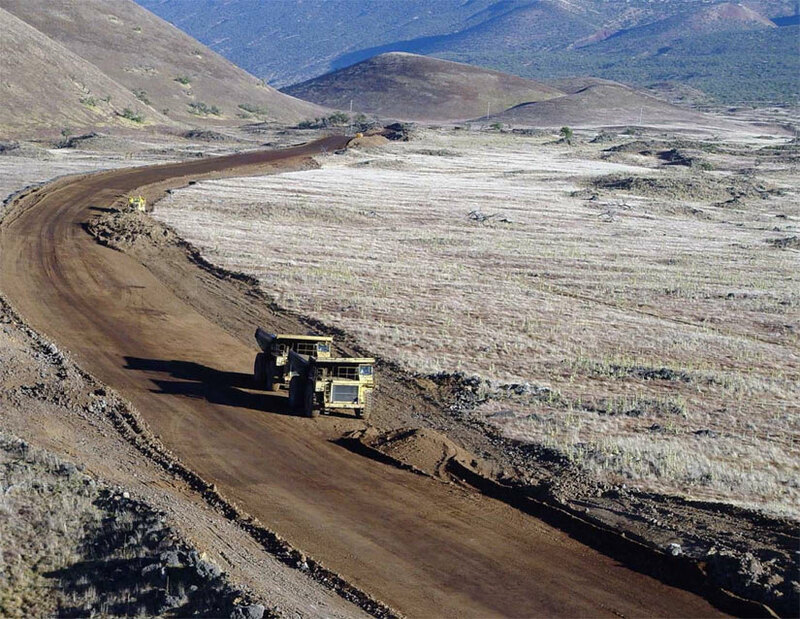 Another milestone was achieved last month when the FHWA and the EPA reached a consensus on recommended route selection in Section IV (Kaumana) and wetland mitigation measures in Sections III and IV. The FHWA committed to ensure adherence to a Òno net lossÓ of wetlands policy. Modifications that will appear in the Final EIS include language committing to native habitat preservation and restoration within or adjacent to the right-of-way as part of wetlands mitigation in these Sections. Studies addressing impacts to historic sites and traditional cultural properties are currently being finalized. 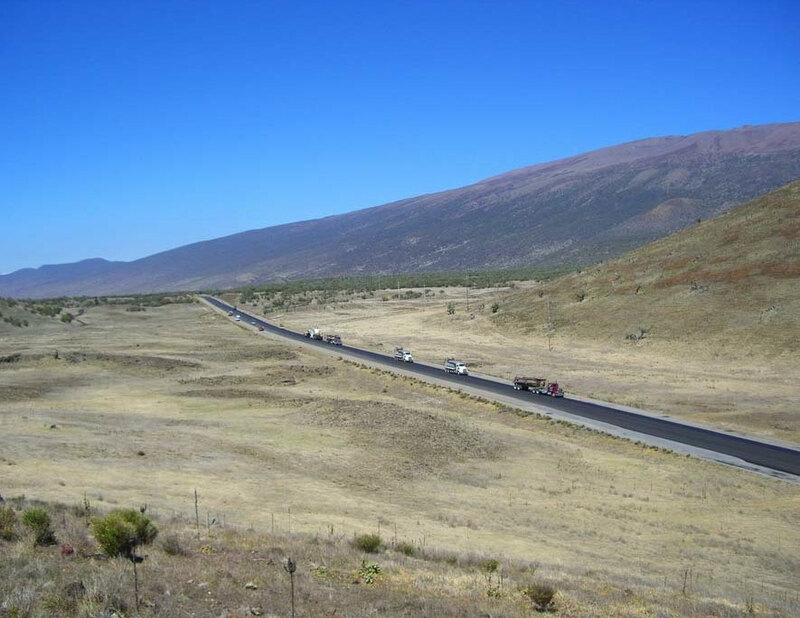 Work is now underway to FInalize a Memorandum of Agreement (MOA) among the FHWA, the SHPO, and the ACHP regarding mitigation of roadway impacts to 19 identified historic sites and Mauna Kea. This executed MOA will be included in the Final EIS. Following the issuance of the Draft EIS and the close of the formal public comment period, and in consideration of the full record of scientific and technical information developed for the project as well as the public input received, the SEE Team identified Segments W-3, PTA-1, EX-3, and E-3 as their recommendation to the FHWA for the final alignment for Saddle Road improvements. The FHWA agreed and has adopted these four segments as the Recommended Alternative. The No Action Alternative was not selected because it would not satisfy the project purpose and need. Proposed improvements to Saddle Road address five general types of needs or existing roadway deficiencies: roadway geometric and pavement deficiencies, conflicts and hazards associated with combined public and military use of the road, traffic carrying capacity deficiencies, motorist safety problems, and social demand and economic development. 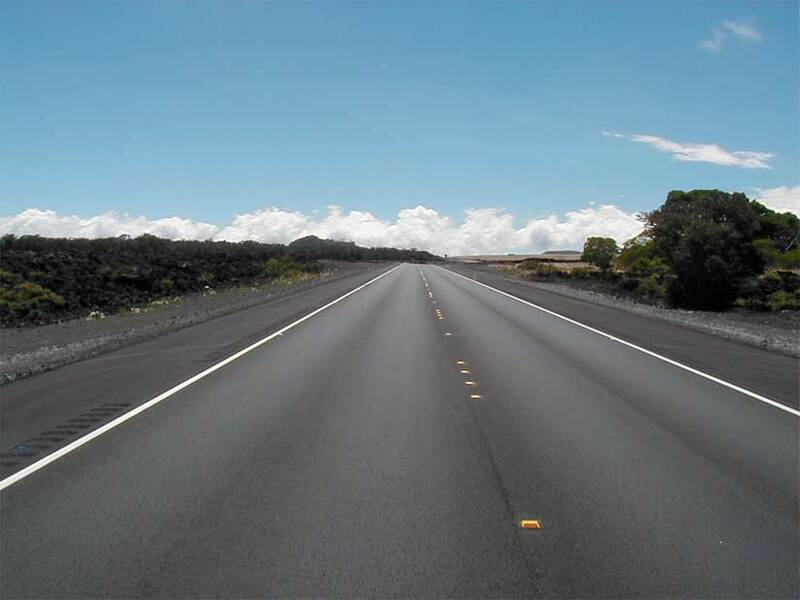 The primary purpose of this project is to provide a safe and efficient route for access to and between land uses along Saddle Road and for cross-island traffic between East and West Hawai`i. Perhaps the most notable consideration in the selection of W-3 was its efficiency for serving cross-island traffic because the largest percentage of motorists using Saddle Road are coming from or going to Kona. For Saddle Road traffic with Kona as its origin and destination, Segment W-3 provides a 3.7 mile shorter trip than W-2. 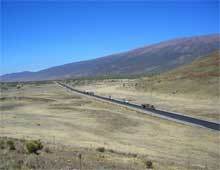 Another popular origin and destination for Saddle Road motorists is Waimea. Segment W-3 is shorter than W-2, which partially compensates for the fact that W-3 intersects the Mamalahoa Highway farther from Waimea. Therefore, W-3 is only marginally less convenient than W-2 for serving Waimea traffic. In terms of overall time and fuel savings, Segment W-3 would result in greater benefits to Saddle Road motorists and the community as a whole. Further, based on the information available on terrain and geology, and the shorter length of W-3, the FHWA expects that Segment W-3 will prove less costly to build than W-2 when final design and cost estimates are completed. 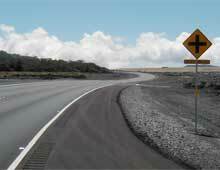 Traffic operations would also be more efficient on W-3 because of less steep grades. The FHWA also considered public opinion regarding the selection of recommended alternatives. With the proximity of W-2 to Waiki`i Ranch, landowners and residents in this community stated their goal to preserve their pastoral lifestyle and expressed concern that the siting of Saddle Road on the W-2 alignment would result in noise pollution and would impact the commercial viability of their properties. In consideration of community benefits, construction cost savings, and other reasons noted, Segment W-3 was selected as the recommended alternative for Section I. The most notable consideration in the selection of a recommended alternative within Section II is that EX-2 would not completely fulfill the project purpose and need. With Segment EX-2, no improvement in the quality and safety of military training would be anticipated and existing conflicts between the military and the public would be only partially removed. In contrast, selection of either PTA-1 or PTA-3 would completely satisfy the project purpose and need, but would result in a direct modification of Palila Critical Habitat (103 acres for PTA-1, 114 acres for PTA-3). As stated by the USFWS, however, it is expected that the mitigation measures built into the project design will offset the modifications being made to Palila Critical Habitat and enhance the likelihood of survival and recovery of the Palila. The most notable difference between PTA-1 and PTA-3 is that PTA-1 is approximately 1.0 mile shorter and would provide a more direct alignment. PTA-1 would be less costly to construct and would impact less native habitat and less Palila Critical Habitat. In consideration of the anticipated benefits of the mitigation measures developed for the Palila and the other reasons noted, PTA-1 was selected as the recommended alternative for Section II. No reasonable or prudent alternatives to following the existing road corridor (Segment EX-3) were identified in Section III. After much discussion and investigation of potential alternative routes, it was concluded that all other alternatives would provide notably greater impacts to adjacent resources. For this reason, Segment EX-3 was selected as the recommended alternative for Section III. The construction of Saddle Road on Segments EX-4A or E-3 would require the fill of jurisdictional wetlands (1.0 acres with EX-4A, and 7.9 acres with E-3). While E-3 would result in the fill of more wetland resources, approximately 6.7 acres of this wetland area consist of degraded habitat (damaged by grazing or other uses) and agricultural fields supporting very little native vegetation. EX-4A would disturb 1.0 acre of native habitat, compared with 1.3 acres for E-3, and therefore, the impacts to biological resources were determined to be roughly equivalent for these two segments. While EX-4A would impact less wetland resources, it cuts through the community of Kaumana and would require the acquisition of residential property and the relocation of 11 to 28 households. It would approach or exceed the national noise abatement criteria at 29 residences, would cause a substantial increase in noise at 18 additional ones, and would result in serious community disruption. In addition, when considering initial construction and long-term motorist operating costs, EX-4A would be the more costly segment over the life of the project. For these reasons, Segment E-3 was selected as the recommended alternative for Section IV. From now until the end of 1998, the project team is resolving outstanding issues and revising information for inclusion into the Final EIS. Release of the Final EIS is now scheduled for late February or early March 1999. The Record of Decision (ROD) confirming the Selected Alternative will then be issued in late March or early April. It is anticipated at this time that the Selected Alternative in the ROD will be the same as the Recommended Alternative in the Final EIS. The ROD is a legal document that is binding on the FHWA and any participating agencies for completion of all project requirements including mitigation measures. Roadway design within the Pohakuloa Training Area (PTA) in Section II would begin immediately after the signing of the ROD. Estimated completion time for roadway design and engineering is one year. As soon as this design phase is finalized, the construction project will be advertised for bid. Construction is expected to begin on a project within PTA in late 2000.